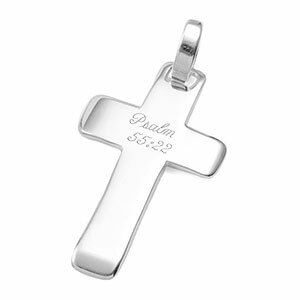 Engrave this sterling silver cross with a name or favorite scripture verse. Chain not included. See our necklace page for a wide variety of silver necklaces at www.thoughtful-impressions.com/category/chains. Up to 2 lines of 9 characters each, including spaces!